A world of opportunities and advantages! With Guest Card Trentino you can have many other advantages! Discover the opportunities that offers you to live your holiday in complete freedom. 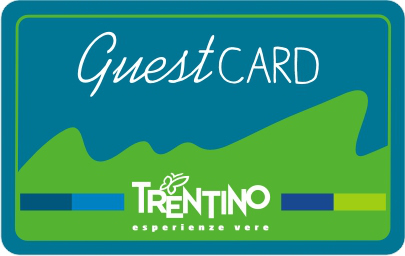 Guest Card Trentino is valid until November 2018. Guest Card Trentino is included in the holiday for those staying at Taxus Hostel. Guest Card Trentino is also designed to extend the validity of the proposals to the minor family members who are on holiday with you thanks to the specific Family formula.